This weekend, audiences have a choice. 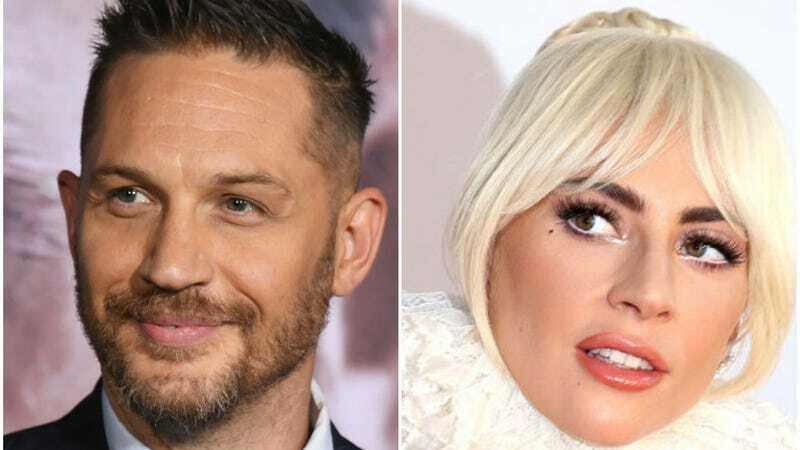 They can go see Bradley Cooper and Lady Gaga in A Star Is Born or they can watch Tom Hardy in Venom. This may seem an inconsequential decision to many, but it is actually, we are starting to realize, a matter of near cosmological importance. There is darkness or light, up or down, Venom or A Star Is Born. This is no time for fence-sitting: the universe itself watches to see which of these two films will emerge triumphant at the box office. Lady Gaga fans are not approaching this matter lightly, assembling a phalanx of glittery shields, donning their customary raw meat armor, and spreading negative reviews of Venom on Twitter in the hopes of, uh, making more people see A Star Is Born instead. BuzzFeed’s Rachael Krishna has issued a report from the front lines of the conflict, showing the first, horrified moments when awareness of the Gaga army’s cunning plan began to spread. Though the opinion of a Twitter account called “Marvel Mania™” may be a bit suspect, it does appear that, as in the past, Gaga’s fans have decided to help their hero’s career through less-than-savory means, against their leader’s wishes. Krishna received quotes from some of the fiercest warriors, including one who anonymously claimed to be part of a coordinated effort to mess with Venom’s opening weekend by creating fake accounts. Venom supporters have come online to argue for their movie, apparently to correct the cosmic balance by adding even more nonsense to the pile—like claiming to go see a film they’re not that interested in just because they’re mad. In case you were worried this couldn’t get even stupider, don’t worry, the whole back and forth has also resulted in theories that negative reviews from legitimate outlets are part of a wider-ranging conspiracy. As bloody and merciless as this war has been, hostilities should lessen by next Monday and the release of opening weekend figures—which, of course, all casual movie viewers should be anticipating with great concentration. Whether Gaga’s Little Monsters will have defeated Venom’s Big Singular Monster will be revealed in time. For now, the best thing to do is probably just log off and take an aspirin.